Tata Cliq offer- Get discounts on Whirlpool Single Door Refrigerator in this Summer season. It comes with 200 litre capacity with 3 energy star rating. This refrigerator has an attractive Alpha steel color and also has a direct cool defrosting system. 1 Year on Product and 10 Years on Compressor Manufacturer Warranty on this product. Use Coupon Code CLIQREF250 to get additional Rs. 250 discount on Refrigerators above Rs.15000 Use Coupon Code CLIQREF500 to get additional Rs. 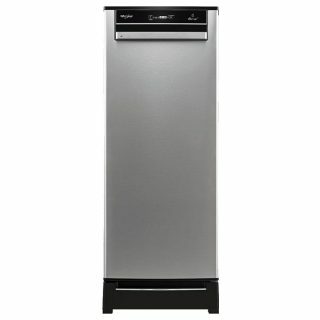 500 discount on Refrigerators above Rs.25000. Get a 10% instant discount on HDFC Bank Debit/Credit Cards and EMI Transactions on Min. purchase of Rs.15000. and Max discount Rs. 2000.